Trace minerals provide essential nutrients for the overall well-being of the body. The modern farming techniques of today and over the years have eliminated most of those trace minerals from our soil. Consequently, our food is deficient in those minerals. The Thyroid, in particular, needs trace minerals to provide adequate nourishment. This gland steps up, or down the body’s metabolism. 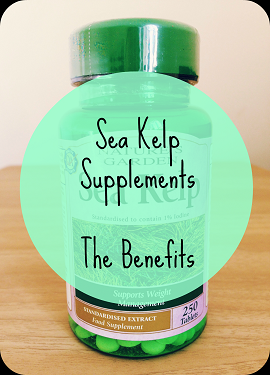 A simple source of trace minerals is Kelp. Whether you have a taste for eating it as a vegetable or prefer to ingest it in pill form (from your health store), a little kelp a day is well known to steady your energy from draggy to over-stimulated. It can also be very effective for relieving muscle cramps. Kelp… natures gift!